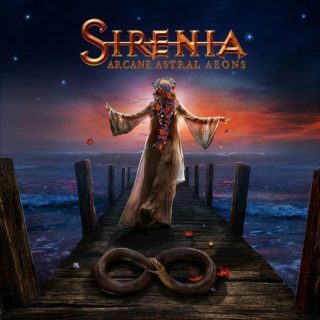 Sirenia : Arcane Astral Aeons album download | Has it Leaked? Nordic epic metal masters SIRENIA will release their new album, "Arcane Astral Aeons", at the end of October via Napalm Records. The follow-up to 2016's "Dim Days Of Dolor" marks the band's second LP to feature French vocalist Emmanuelle Zoldan, who replaced Spanish singer Ailyn Giménez García two years ago. SIRENIA guitarist Morten Veland commented: "We are very pleased to present the artwork for our new album, 'Arcane Astral Aeons'. Once more we have worked with designer Gyula Havancsák to create an artwork that renders and adorns the heart and soul of our music. 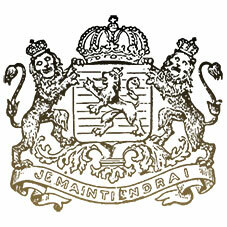 "The album was recorded in Audio Avenue Studios (Norway) and Sound Suite Studios (France), while the mixing and mastering took place in Hansen Studios (Denmark) with mixing engineer Jacob Hansen. SIRENIA will embark on a European tour in November with support from fellow Norwegians TRIOSPHERE. SIRENIA will bring its epic melancholic symbiosis of orchestral opuses and raw heavy metal sounds to the U.K., France, Spain, Portugal, Switzerland and Italy. Emmanuelle told Femme Metal Webzine about her musical background: "I learned the piano when I was child, and I tried drums later, but I had to admit very fast that I was better in singing. So I began to sing in a pop/rock band as the lead singer. We made some really nice shows, and won some competitions. It was a really nice period of creativity and concerts we did in the same time we did our studies at the university. Then I decided to go the conservatory to learn a good vocal technique, and after some years of work and two years of specialization, I began a career… in opera. It was a bit unexpected, but life can be really strange sometimes. But during my operatic career, I never stopped doing a lot of other music projects, in different styles (rock, jazz, R&B), creating music, making concerts and recording metal albums for many bands, choirs parts and also lead vocals."